We carry a vast array of stock on site, but can also source stock for next day delivery from our national distribution centre, if you need a standard product quickly, we will get it to you the fastest way possible. Our sales team are all dedicated to bringing you the best service they can offer, if you need a solution to a problem, they will provide you with an answer. We are well known for our bespoke products. If its not in stock, we’ll do our best to source it. If it doesn’t exist, we can design, prototype and manufacture a tailor-made solution and partner you from concept to installation. From faded drawings and archive art numbers, our bespoke service has enabled hundreds of projects to reach completion. We are also able to offer a high quality refurbishment service for a range of components. Our refurbishment service can provide you a cost-effective, high quality and environmentally friendly alternative to sourcing from new. We get to know our customers needs and do our best to have products ready to go. 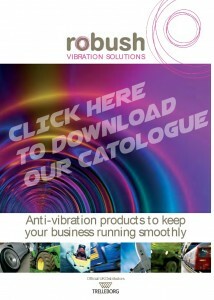 For further peace of mind we are happy to hold stock on your behalf for call off as required. Additional steelwork to Ultra Duty Bushes (Ultra Bushes) and Spherilastik Bearings. Applications: Ultra bushes and spherilastiks are used in a large variety of applications in many market sectors. Bearing blocks for shafts, axles and other isolating connections on a large variety of machines, such as parking machines, food industry machines, conveyor systems in industry and logistics, printing machinery as well as many others. Control links; Two bushes connected by a rod, taking radial load and torsional movement on moving equipment such as vibrating screens and on fluid bed dryers. Ultra bushes, Spherilastiks and Control links in suspension systems of vehicles. Ultra bushes for Engines, gearbox and driveline suspension. Ultra bushes for Electric motor suspensions. Housing, including brackets for UD bushes and Spherlastiks. Made to customer requirement central pins. We can offer all of these types of metal additions to UD bushes and Spherilastiks including welding certificates, paint to spec, paint certificates and material COC’s etc.